I don’t know if Black Widows are coming out of the woodwork because the weather is changing or if I simply hadn’t noticed kitchen window Widow because a plant was in the way. 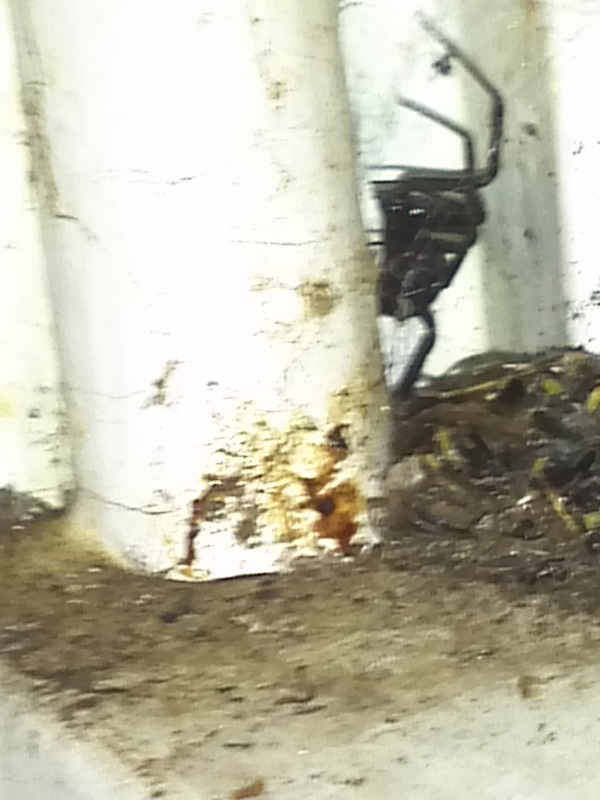 Barely 2 days after discovering basement Widow #8, kitchen widow has made its presence known. My house is old; built in the 1930’s, and crying for a fresh coat of paint. My kitchen is first in line – the reason I moved the plants off the windowsill to give it a good wash and sanding. I caught sight of kitchen widow after moving plants; reaching over to give the sill a good wash – I saw her. In all honesty it was her pile of insect carcasses that caught my attention – like a pile of bones outside a troll’s cave. Probably not the best photo of kitchen Widow; taken on my phone at a strange angle, doing little to showcase her distinctive black “bulb” of a body. Never the less, I assure you it’s there. 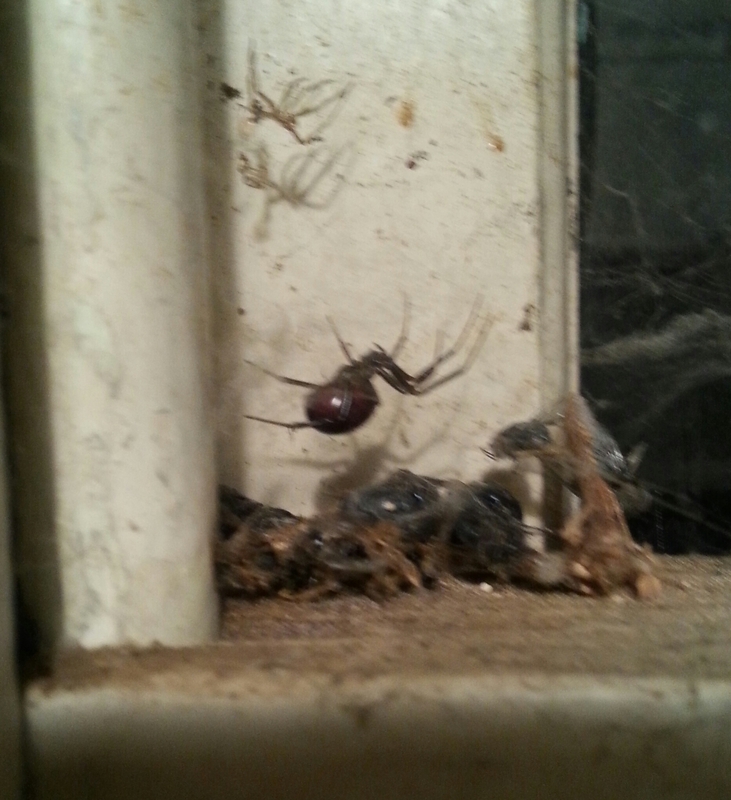 I think it would be safe to say – my house is officially infested with Black Widows. I don’t want to disturb kitchen Widow too much – at least I know where she is, and it looks like she’s been there a while. The last thing I need is to make her mad before I can figure a way out of this problem.